In the late 1980’s I had returned from student years in Norway to start my adult life in Wisconsin. My youthful propensity for writing, the fake newspapers and spy documents of childhood followed by teenage lost-love-romantic-pining versed in a dripping archaic cadence, had given way to journaling and an attempt to write poems that meant something measured by how much they scared me. The first had been a poem about a fellow student in Oslo, a girl from Alaska whose talk of becoming a lawyer seemed delusional to the point of insanity. I was frightened for her and maybe frightened of her. I sat on the floor one evening, leaning against the wall, writing my worry for her into my journal. Darkness fell and I could not see what I wrote. It didn’t matter. I stared into the dark and kept writing, blindly knowing that this was poetry, this was what poetry felt like. Soon after I wrote my second poem, about my marriage. A line from the marriage one remains in my head: two steps forward, one back, at Go again. I can’t remember lines from the Alaska girl poem, but I can still feel them when I think about her. When I got to Wisconsin I started writing seriously. I wasn’t any good but I was seriously trying to write, to turn withered stalks of corn alongside a road named Raven into something that would unbirth my embryonic yearning to write. It was at this time that I was given or told about or stumbled upon Brenda Ueland’s classic book: If You Want to Write. I loved it. I don’t remember specifics from the book, but I remember being encouraged, inspired. Perhaps my ongoing interest in the writing process and unleashing creative power grew from that. Over the years my library of “writers writing on writing” has grown. Brenda Ueland’s was the first book on that shelf. Rereading Ueland now was an emotional reversal. How arrogant she is! So judgmental, mean, ungenerous. I was gobsmacked by her whiny, miserly voice; her need to judge and dismiss other writers in order to favor her newbie writer students; her seemingly endless drive to extoll their writing as superior to all other writing in the history of literature, with the exception of the great Russians. She hardly admits to the bias that makes a teacher favor a student’s work out of personal empathy for that student’s life. In Ueland’s case, the more uneducated and working class a student was the more she admired their writing. Ueland presents a skewed writing world in which the educated published mediocrity is pitted against the uneducated unpublished natural talents. Ueland singles out for particular derision those students enrolling in her course who are already confident about their writing. The writing produced by those who already think of themselves as writers is categorically dismissed as stilted, glib, dead-on-the-page prose. Maybe it was. Maybe those writers needed a breakthrough to find their voice just as the inexperienced ones did. That is not what Ueland says about them. She does not equate the need to break through to one’s self-expression in all people. It is solely to be found in the ones untouched by privilege and education. Ueland seems unaware how her own privilege glares through that stance. I have taught writing workshops as Ueland did and I relate completely to her enthusiasm for unleashing the hidden potential in would-be writers. However, I think Ueland lacks a basic insight when she proclaims “Anyone can write!” That is absurd. What is true (and this Ueland might agree with if she got off her high horse and listened with half an ear to anyone who is not a great Russian novelist or Van Gogh): Anyone who wants to write can write. My favorite workshop candidate is the person who believes she cannot write but has a unquenchable desire to. Ueland favored these people too, and her workshop attracted them. Kudos to her for that. Many if not most would-be writers need encouragement to get past their self-imposed barriers, help to unleash the writer within. I certainly did in 1989. Brenda Ueland helped me then as she has helped countless others during the some 80 years since her book was published. A glance at GoodReads shows me that there is nothing outdated about her advice. People need her, as I did, to give encouragement to just write. The summary of her main points as she outlines them in the last two pages of the book are a fitting credo for any writer. They must be internalized for any writing to take place. I am convinced of that. Myriad other writing theorists since Ueland have espoused her breakthrough methods. It goes without saying that I am one of the thousands who gratefully internalized Ueland’s tenet just write, convinced by the strength of her conviction. What I see now, what shocked me as I reread the book, is that I also unwittingly acquired her arrogance, her mean, miserly, judgmental stance toward those who were already writing. Her book is filled with put-downs about everyone from Upton Sinclair to contemporary journalists in magazines, which in the late 1930s constituted the major American platform for literary writing. Why, Brenda, why? was my muffled internal scream as I read her one grandiose put-down after another. Why this need to dismiss the writing of others? What disturbed me was the shock of recognition. For many years I had a driving need to compare myself with others, to deride what was being published as a way to dismiss my own lack of publishing. This was present even before I tried to get anything published, so sure was I to be deemed not good enough by the publishers of my mediocre rivals. At some point in the early 1990’s, thank god, I recognized this was arrogance masking insecurity. I worked hard at improving my writing but even harder at revising my attitude. Compared to the personal work I had to do to be a better person, learning to write better was easy. I am really glad that people love Ueland’s book, that they find therein a key to unlock their self-expression and creativity. That process is the central spiritual quest of a lifetime, and Ueland has, without a doubt, made her contribution to the spiritual and creative lives of many. But I can no longer commend her as a writer. While she says a writer must never moralize, she moralizes. While she says a true writer needn’t outline her book, she fills her randomly organized pages with parenthetical footnotes that make reading her book a chore of concentration. 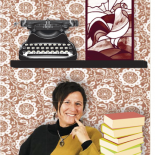 While she derides English teachers, writing courses and fiction workshops, she teaches the same. While she claims literary superiority for the unpublished state of her working class students, she enjoys the privilege of being a published professor. When it comes to rating the book on GoodReads, I gave it 2-stars. Well-deserved I think. Content-wise there’s something to be gleaned there, but the book is poorly written given all those footnotes. They aren’t footnotes at all, just the sentences that would come next in her paragraph if the manuscript had been properly edited, redrafted, polished. Her ultimate arrogance shows in her belief that she does not need to edit her own work. I have to call it as I see it. In If You Want to Write Brenda Ueland parades in the Emperor’s New Clothes, protesting too much, posturing too boldly. Her poorly editing writing comes across as a lack of respect for the process of writing, which if nothing else means getting all your sentences into the paragraph, finishing what you have to say, communicating clearly to your reader. I will forever hold Ueland’s tenets, nail them like a creed to my wall. In fact, I will cut out the last two pages of my copy of her book and do just that. The rest I’ll never read again. This entry was posted on 09/05/2017 by Rasma Haidri in Books, My writing, Poetry, Teaching, Writer's block, Writing and tagged arrogance, Brenda Ueland, goodreads, If You Want to Write, literature, on writing, poetry, self-help, writer, writing, writing process.